Thomas “Hex” Hector Schofield runs into a Human Resources employee named McShane, and he’s about to have the worst birthday of his life. This audio is an intelligent, fast-paced covert ops mission where the stakes couldn’t be higher. 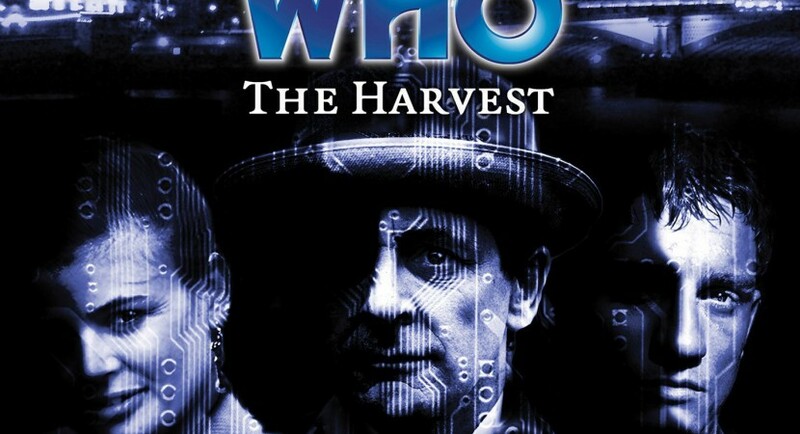 The Doctor and Ace infiltrate a suspicious installation and uncover a new twist on a very old threat. Hapless Hex gets swept up in their mission and does his best to roll with the punches, emitting an occasional heartfelt “Oh my God” along the way. It’s a clever story, with some unusual techno incidental music that contributes to the sense of Mission Impossible stealth and espionage (although I’m so hard of hearing that it obscured a few bits of nonessential dialogue). There’s meaty worldbuilding, projecting the politics and technology of Earth forward to 2021, 17 years away when this audio was first released. The space race has begun in earnest, and world powers are seeking a technological edge to help them colonise and exploit the new frontier. The Doctor has reason to be worried about the lengths some will go to in order to secure that edge. But what does all that have to do with a run-of-the-mill hospital in downtown London? This audio kept me on the edge of my seat throughout. I liked the cat-and-mouse exchanges between the Doctor and the computer system he’s trying to hack. This is one of those stories where his casual courtesy and glib tongue make him sound innocuous when he’s being devious and Machiavellian. It’s good to hear Ace back to her old self, a competent and seasoned agent working independently on the Doctor’s behalf with a sort of old-school Avengers (Steed & Peel variety) self-sufficiency. Her cool under fire is an anchor for poor lovable Hex, whom she takes under her wing. This audio introduces Hex as a much-needed counterpoint to serious-business “McShane” and the mastermind Doctor. They’ve been working together so long now that they speak in shorthand code, trusting one another to improv along the way and leaving the audience in the dark about what they’re up to. Hex replaces Ace as the audience POV character, asking the questions that companions are supposed to ask and expressing fear, wonder, disbelief and skepticism on our behalf. It’s a nice subversion on the usual Doctor/female companion dynamic to have Ace showing a junior companion the ropes. Phillip Olivier is a great choice for a new companion, a down-to-earth young bloke with enough innocence and wry humour that one can immediately understand why Ace would be protective of him. He may be a neophyte secret agent, but his skills as an emergency room nurse will probably come in handy for her down the road. Hex: The work you and the Doctor do… is it always this cloak and dagger stuff? Ace: Not so much cloak and dagger. It’s been anorak and baseball bat a few times. As for the main plot, I appreciated another variant of the “who is the enemy— the monsters or the humans?” trope. It leaves one trying to guess where the real villains are. Of which I will say no more until the spoiler section. Note that this is another trilogy, tackling different instances of the same problem in various parts of the globe, just a few years apart. The Gathering sweeps the Fifth Doctor and Tegan into the mess, while The Reaping overtakes Peri and Sixie. This story is more independent of the other two. It was a nice touch of fanservice that the Doctor had tucked away the TARDIS in a parking garage built over the site of 76 Totter’s Lane. I like the fact that the Doctor was fooled by his own compassion and hope, which is something of a relief. I’m still not entirely reconciled to Season 26 Doctor’s ruthlessness. Even so, he walks away from someone dying and in pain at the end, which feels far more First Doctorish than the Doctor who evolved from Two onwards. As for the Cybermen, as I alluded to above, flipping their story around so that they’re trying to regain their humanity (apparently) is a clever bit of originality for a set of Who mainstays who can be tedious without a Spare Parts quality script to elevate them. William Boyde pulls off the impossible with a charismatic performance that makes Subject One quite appealing and almost believable. Like quite a lot of Doctor Who, it might’ve been wiser to set this story farther in the rapidly-approaching future. But that’s part of the fun of the show. It lasts. Even the audios have lasted longer than its creators probably expected when this one came out. So its future is a moving target, and the “now” of many stories sooner or later becomes a timey-wimey AU to the real present.